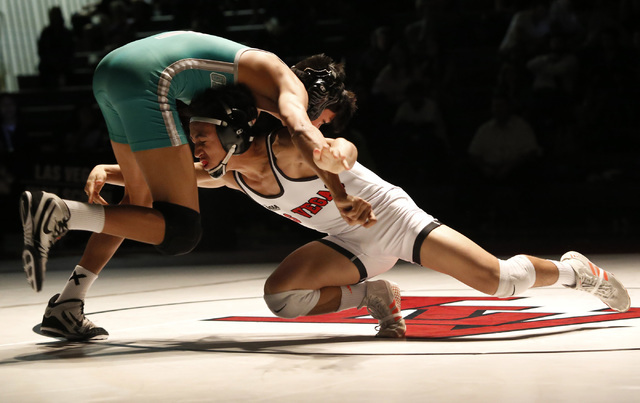 The Gators had someone competing for the championship in all but one weight class, comfortably rolling to their seventh consecutive team championship Saturday at Las Vegas High with a score of 324½ points. In two corners of the mat at the Class 4A Sunrise Region wrestling tournament sit a pair of chairs for the coaches. While other coaches cycled through the chairs during the championship matches, Green Valley coach Jon Ferry settled in for the long haul. 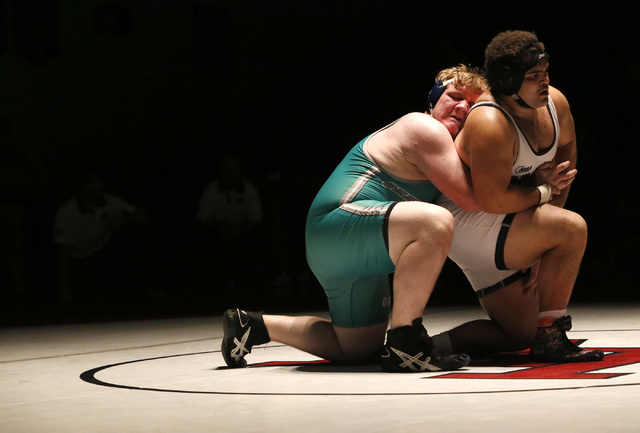 The Gators had a wrestler competing for the championship in all but one weight class Saturday at Las Vegas High and comfortably rolled to their seventh consecutive region team championship with a score of 324½ points. 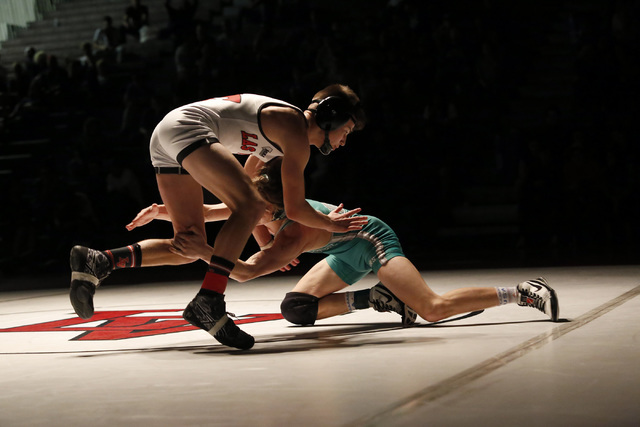 Ten Gators won an individual championship, and all 16 wrestlers finished in the top three to qualify for next week’s Class 4A state tournament at Spanish Springs High in Sparks. 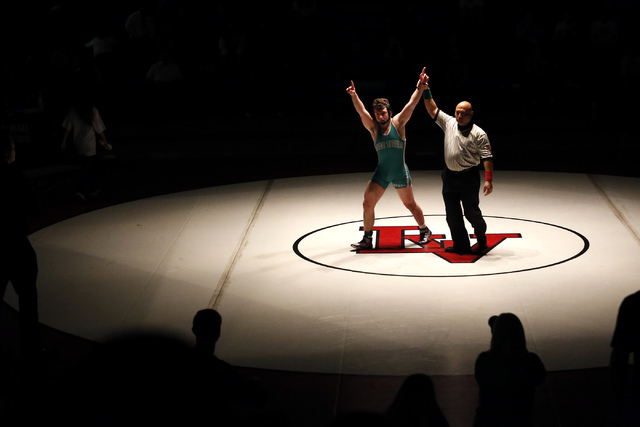 Nothing summed up Green Valley’s dominance quite like the 195-pound championship: Robert Razo against Cody Crochet. They both wrestle for the Gators. 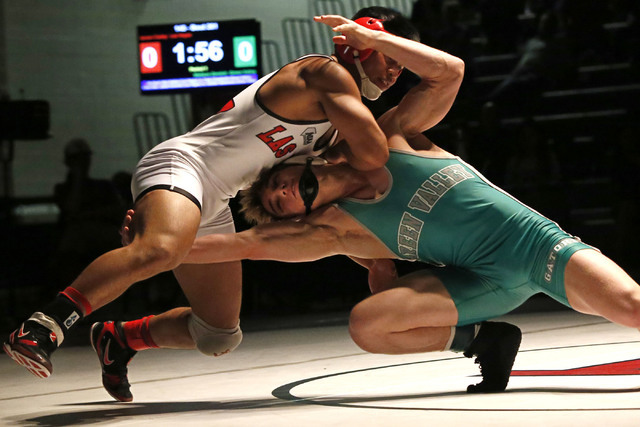 Las Vegas sent nine wrestlers to the championship rounds, and eight title matches pitted Green Valley against Las Vegas. 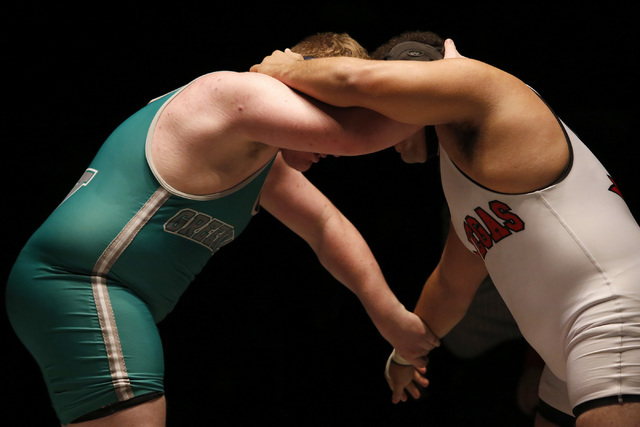 The host Wildcats finished second with 232½ team points. In total, Green Valley won six of the head-to-head matches. 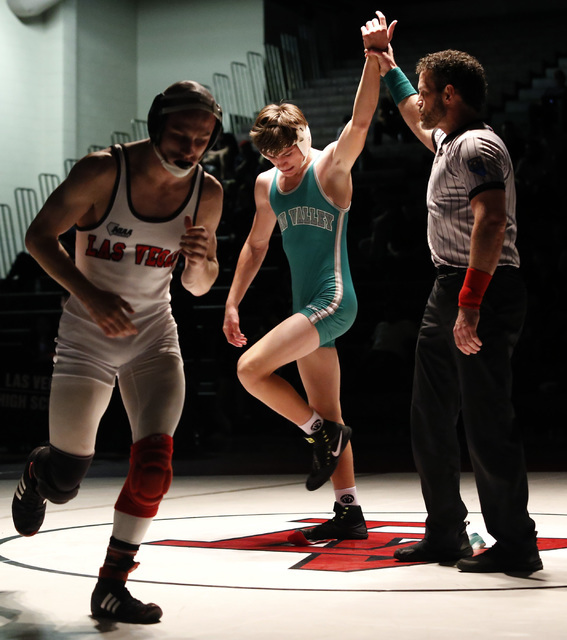 Green Valley 113-pound freshman Will Zernich was the first to do so, scoring a 9-1 major decision over Nathan Rhodes in front of a surprisingly pro-Green Valley crowd. 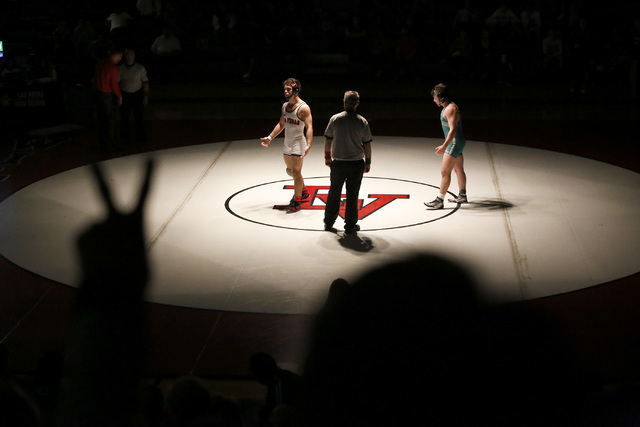 With all the Gators going to state, it’s easy for one to get lost in the shuffle, but senior 145-pounder Wallace Zernich (Will’s older brother), said that no matter how many win, it’s still special. 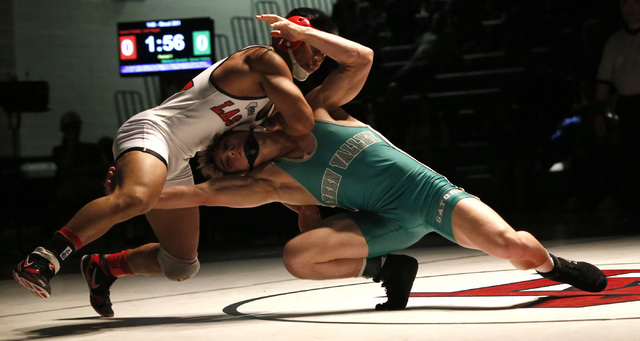 Wallace Zernich won his match over Las Vegas’ Jaesen Caday by decision, 3-1. Now the real test begins. Green Valley will use the week to prepare for its state title defense, a championship it has won every year since 2012.